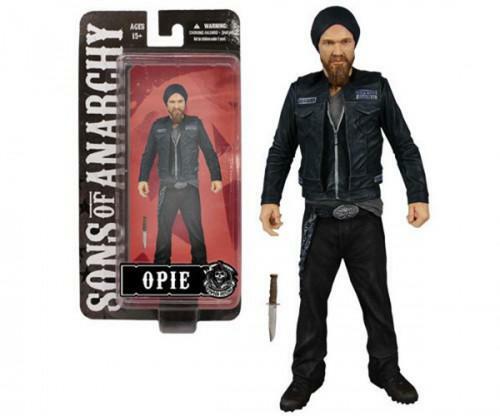 Hot from the smash-hit FX TV series Sons of Anarchy, this limited edition EE Exclusive Sons of Anarchy Opie Winston Variant 6-Inch Action Figure with Knit Hat plus an alternate paint deco that includes a black jacket and pants. Opie Winston stands 6-inches tall in his Sons of Anarchy cut that sports the club´s logo and patches, and he features 5 dynamic points of articulation (neck, shoulders, wrists) so he´s ready for whatever action comes his way! Accessory includes his trusty knife. The figure comes in a collector-friendly blister package.